You may know Copylite for the high quality, cost effective options of toner, copier parts, printer parts, drums, fusers, and imaging units we provide. But, did you know that we do more than offer OEM and remanufactured ink cartridges? We also proudly offer superior, quality tested remanufactured printers at affordable prices. Complete Form to Receive a Coupon Code for 5% off of your first Printer Order! Check out our warranty page for more details. 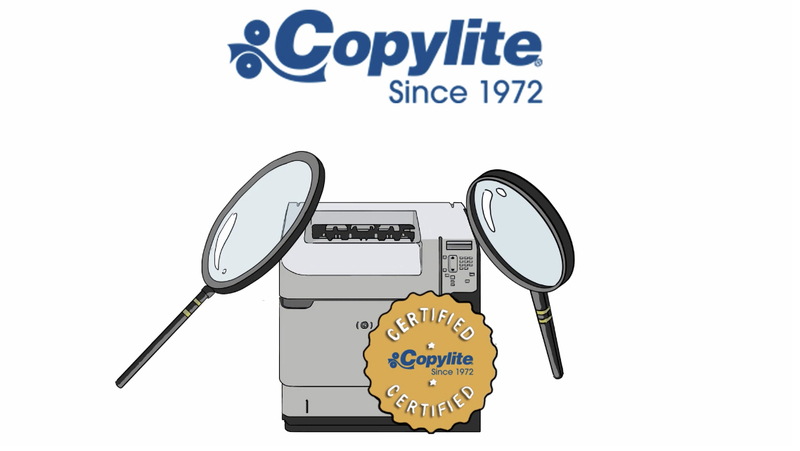 If you’re looking for the best HP printer for your business, Copylite’s remanufactured printers will exceed your expectations. To make sure each of our customers receives the highest quality product, we only offer top-notch remanufactured HP printers that have completed each step of our rigorous remanufacturing process. We maintain meticulous standards that go beyond even factory specifications to offer the best like-new printers on the market. Refurbished vs. Remanufactured - What's the Difference? Refurbished printers are printers that have been returned for a variety of reasons and are simply tested for performance or possible defects before being resold. When it comes to a refurbished printer, you will know that someone has put your machine through its paces before it reaches your office. However, the quality and longevity of the individual parts of your “new-to-you” printer remains a mystery. Remanufactured printers go through a rigorous restoration process, whereby each component of the printer is either replaced or rebuilt to factory specifications to ensure the product you receive works at peak performance. Every element, module, and part that can wear over time is inspected and remanufactured to ensure you receive the best possible product. In fact, every remanufactured printer can be held to the same exact standard – and life expectancy – as a brand new machine that comes directly from the manufacturer. That’s why Copylite only sells remanufactured printers.